Dr. Jackie Berkowitz is a board certified orthodontist who maintains a private orthodontic practice in Gahanna, Ohio, a suburb of Columbus. Dr. Berkowitz specializes in providing orthodontic services to children and adults. While he provides the most advanced comprehensive child and adolescent therapy, including pre-esthetic, pre-implant, pre-restorative, and pre-surgical therapies. His practice goals include obtaining outstanding functional and esthetic results while providing an exceptional on-time patient treatment experience in communication and cooperation with the family dentist and other specialty practices as needed. Dr. Berkowitz has been involved with the treatment of families from all over central Ohio and statewide. Many of his patients have included former athletes and their families from The Ohio State University. A well sought and respected lecturer, Dr. Berkowitz regularly addresses orthodontic, dental, and dental specialty groups in the US and abroad on a variety of clinical and practice management subjects. His clinical topics range from a general overview of basic to advance diagnosis, treatment planning, and basic mechanotherapy, to more specialized therapies in the treatment of complex skeletal and interdisciplinary problems. Dr. Berkowitz provides continuing education programs on multiple topics and has provided a significant number of continuing education programs over many years at The Ohio State University. 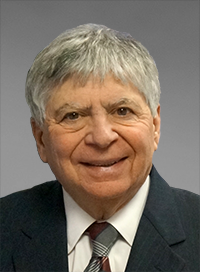 A respected and enthusiastic teacher with over 38 years of teaching expertise and clinical experience, Dr. Berkowitz was a Clinical Associate Professor of Orthodontics at The Ohio State University and has taught, and continues to teach, orthodontics at multiple universities, orthodontic and dental societies and study clubs. Currently, Dr. Berkowitz is a Clinical Associate Professor of Orthodontics at Case Western Reserve University, School of Dental Medicine. Dr. Berkowitz earned his B.S. from The Ohio State University and his D.D.S. and M.S. degrees and his Certificate in Orthodontics from Case Western Reserve University. He is a Diplomate (re-certified) of the American Board of Orthodontics and is very active in local and national orthodontic and dental associations.